2013 had dawned upon us and having traveled to Yercaud, Hampi, Chikmagalur, Belur, Halebid, Bijapur, Badami, Aihole and Pattadakal in the past 6 months, there was an ardent desire to kick in the new year with another trip. 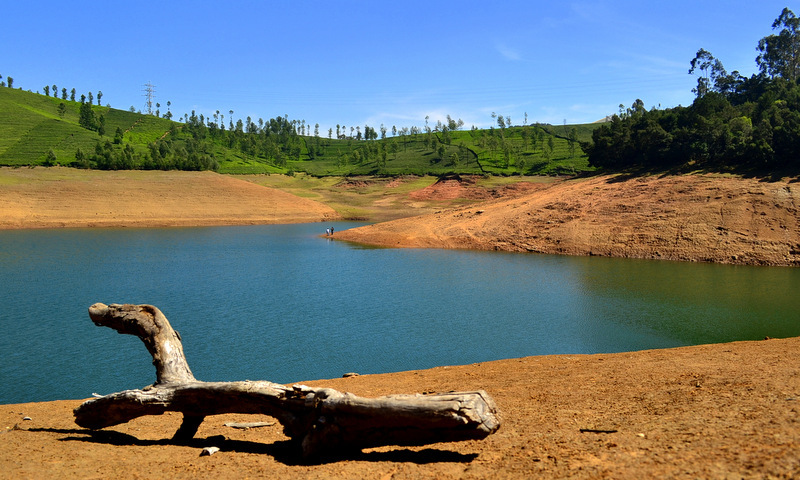 None of us had ever been to the Nilgiris and off-season is, I feel, always a better time to visit popular tourist destinations. 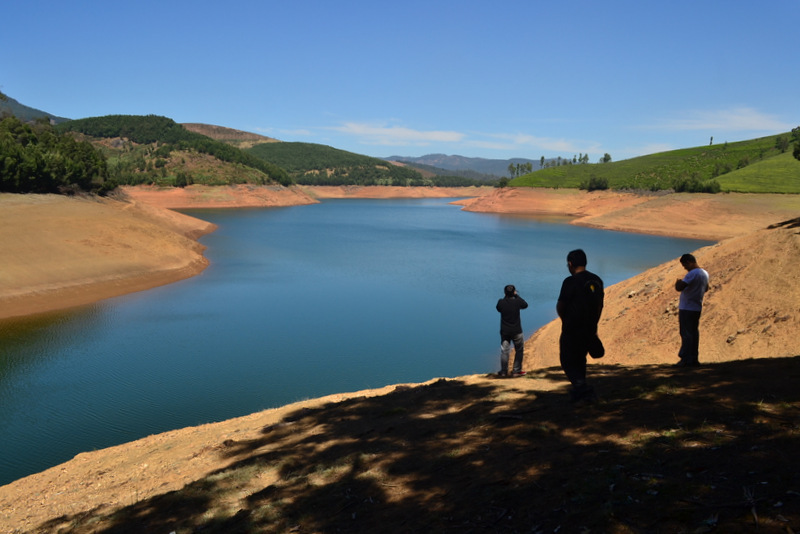 What is more, I also had the beautiful twin lakes of Avalanche and Emerald in mind that are not exactly mainstream, touristy ‘places to visit‘ in Ooty. The Nilgiris, so named due to the mist induced bluish appearance and also due to the blue Kurinji flowers that bloom once in 12 years here, can get terribly crowded as the summer months spring closer. Any time right after the new year would be a good time to visit these places as the partying crowds have already departed and only the faithfuls as well as the locals are left over. 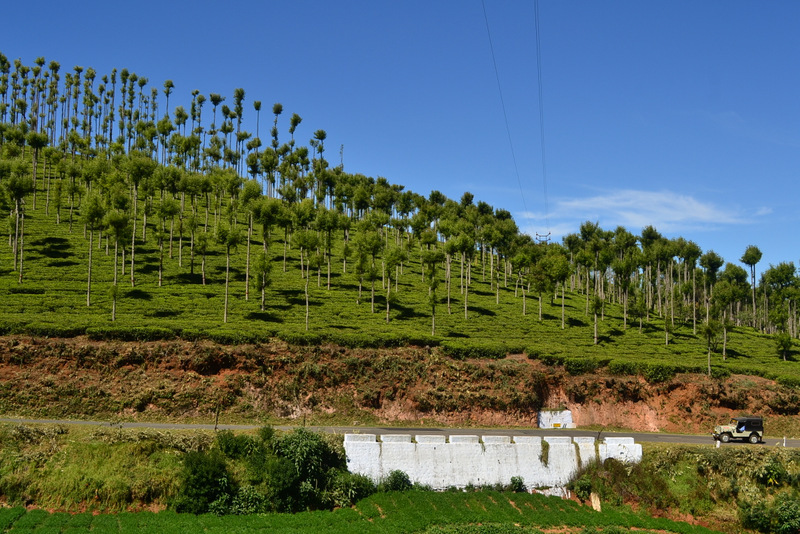 Day 1: Take the Nilgiri Mountain Railway from Ooty – Coonoor, roam around in Coonoor and take in the tea estates, a few famous view spots, drive back to Ooty and visit Dodabetta and the Botanical Gardens if time permits, check in to the hotel and stroll around Commercial street. 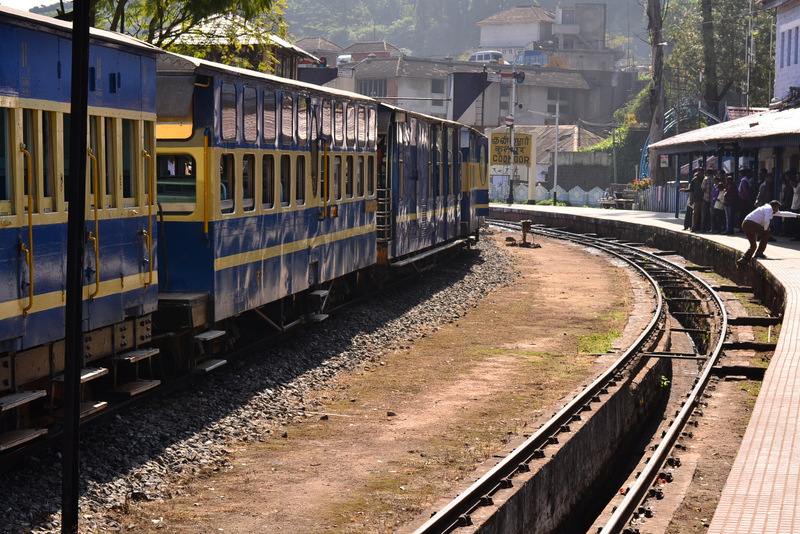 It is advisable to book tickets for the Nilgiri Mountain Railway in advance from the Indian Railways website, as tickets can be difficult to obtain on weekends and holidays. The first class seat at Rs. 110 each is the best option, as the second class ticket though cheap, is unreserved and can get extremely crowded. 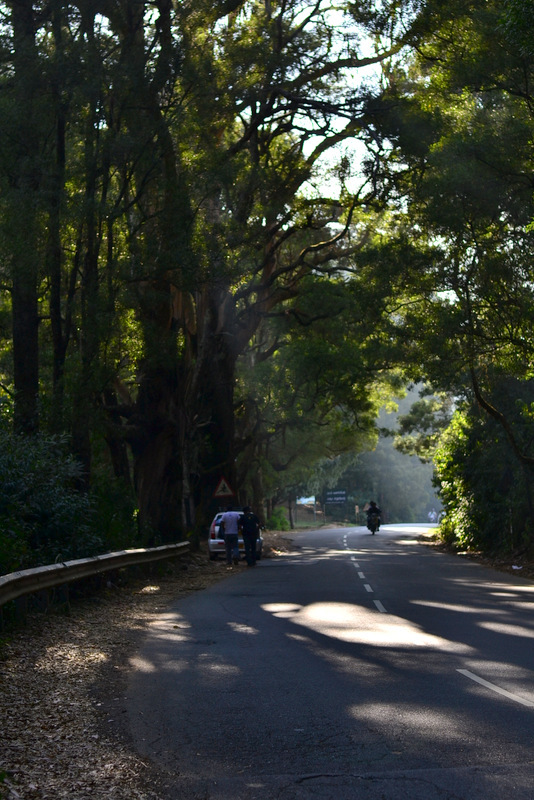 Ooty to Coonoor is around 18-19 kms and it takes almost 30-45 minutes by road. The same journey by train takes 1 hour and 15 minutes but is a vastly different experience. 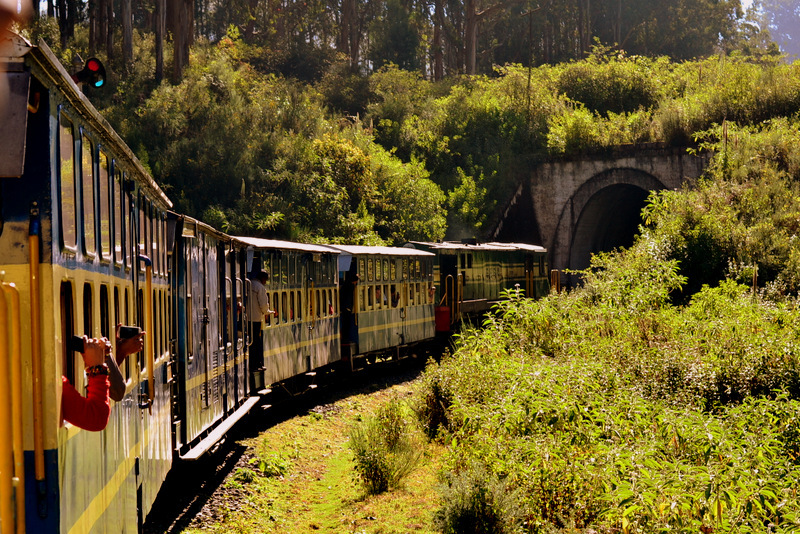 The Nilgiri mountain railway is one of the few existing routes on which relics of a bygone era, the steam engines, still ply regularly. 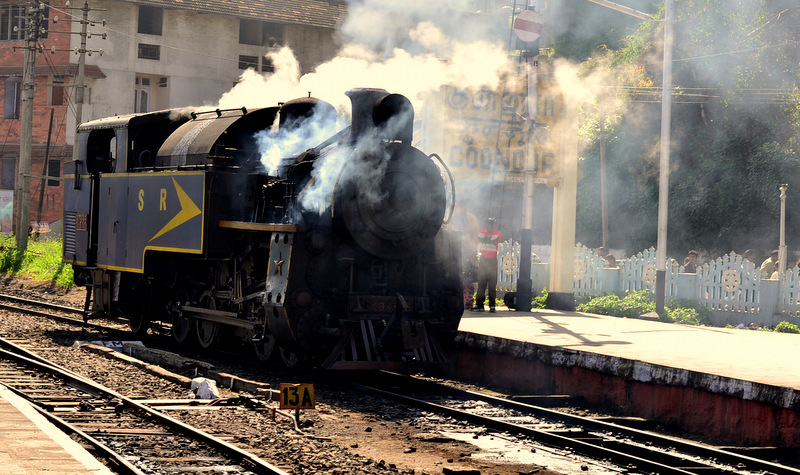 The steam engine driven train runs between the Metupalayam – Coonoor section and is taken over by a diesel loco between the Coonoor – Ooty section. The former section has one of the steepest railway ascents in the world, surmounting which is only possible through a rack and pinion system which in turn, can only be used by a steam engine. 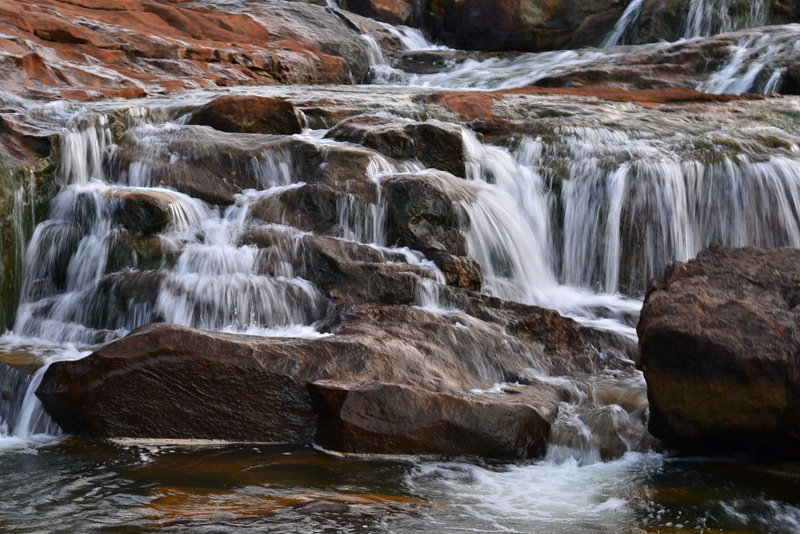 Day 2: Get out of Ooty and visit Avalanche and Emerald Lakes, then go to Pykara lake and Pykara falls and depart for Bangalore from there. We decided to hit the road late on Friday night. We reached the Bandipur forest check post by 06:15. Another 2 hours and 36 hairpins later, we reached Ooty and the Tamil Nadu state RTO check post. Here, we were to find out that our driver did not have the necessary papers with him. Obtaining the state permit without these were out of the question but some arguing, pleading and frantic phone calls to the cab company office and a miserable attempt to hire another vehicle later, we finally got the RTO official to let us into Ooty without a permit on one condition – the driver would drive down and obtain the permit as soon as he got hold of the permit number and validity date. Our train was supposed to depart at 09:15 from Ooty railway station and with the driver driving at breakneck speed, we managed to catch it just in time. We settled into a relatively empty carriage and were on our way a few minutes later. 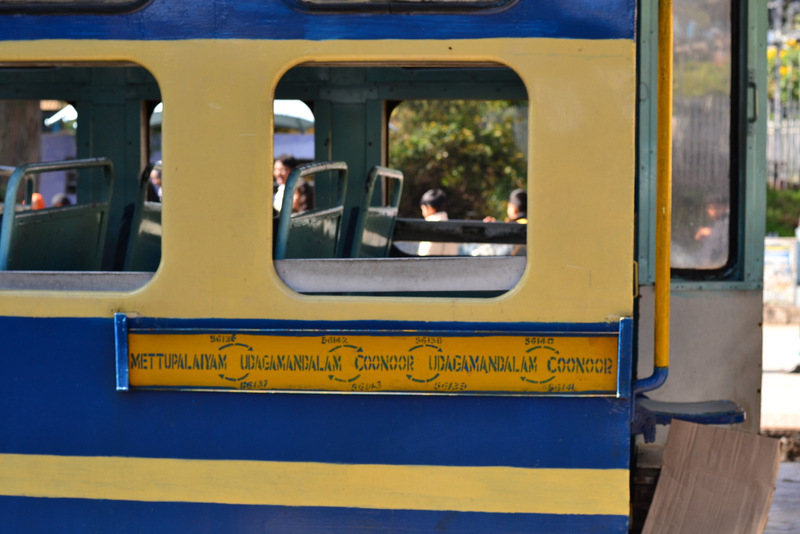 The train, chugging and whistling at turns and tunnels, snaked through lush green countrysides, rolling tea estates and woods full of pine and eucalyptus trees. Some of the sights on this route are so endearingly beautiful, it is no wonder that a lot of Indian films weave this romantic journey into their narrative. A pretty sight around every corner – the UNESCO certified NMR. Note the semaphone signalling system still used, on the top left corner. 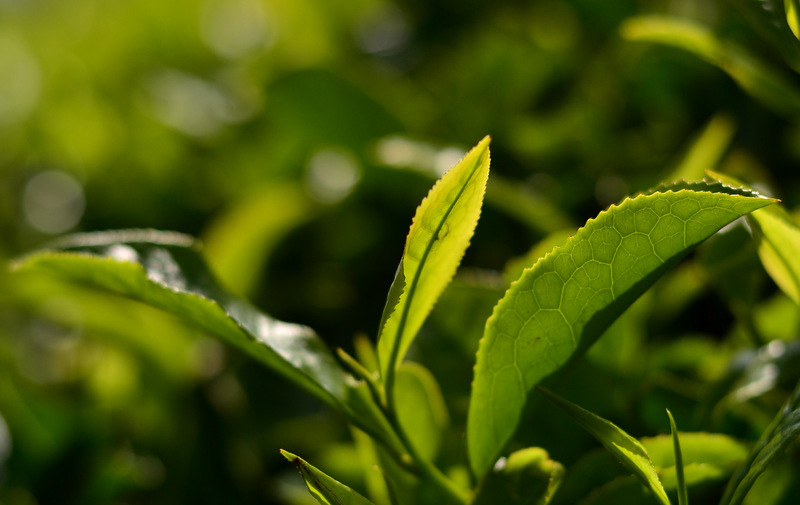 Coonoor, though not as crowded as Ooty, was also founded by the British circa 1819 and is famous for its tea estates, more so than Ooty. With an average literacy rate of 82%, we shouldn’t have been surprised when the parking ticket attendant at the railway station spoke to us in unfaltering, perfect English. 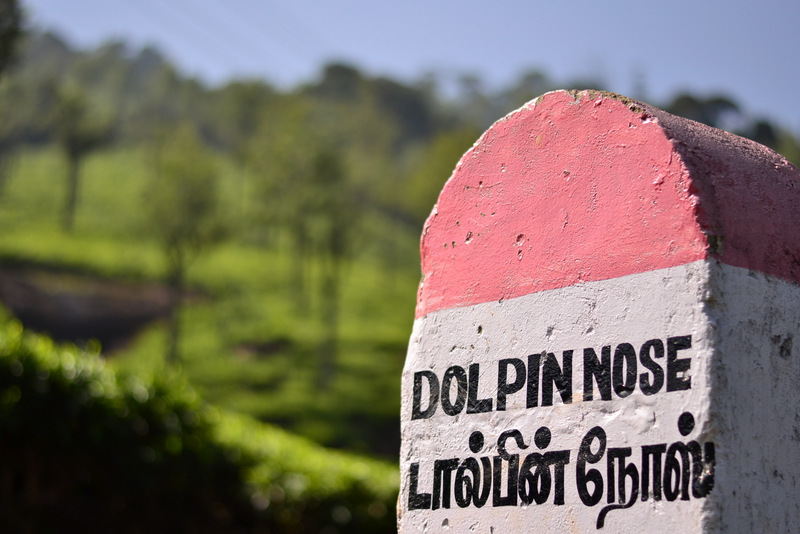 The dolphins’s nose viewpoint, around 12 km from the railway station was our next destination and the road meanders through refreshing views of tea estates on both sides, canopies created by overhanging branches of trees and mist covered hills in the not too distant horizon. Once you reach the viewpoint (watch this, from 03:48), you will be surrounded by views of a vast valley covered by forests in every direction and can see as well as hear the massive Catherine waterfalls, distant though they are. Just try not to be distracted by the vendors beckoning you to try out their teas – (chocolate, mint, various other flavours) and you’ll do fine. 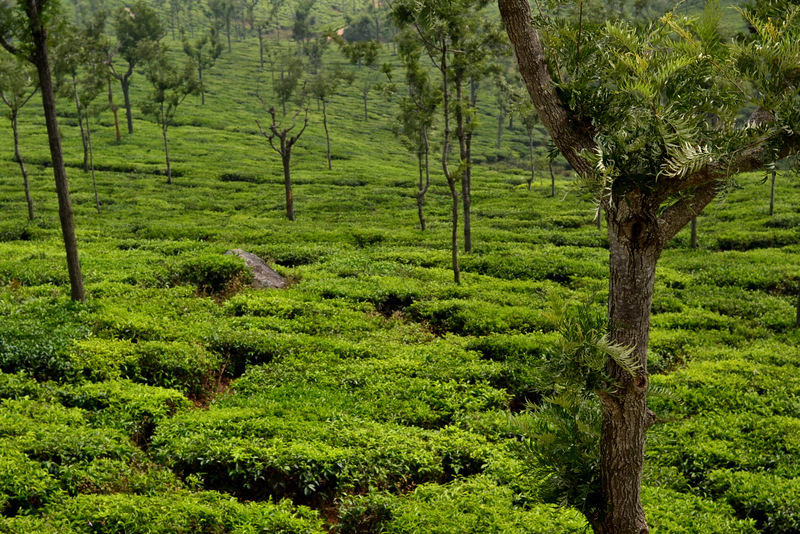 The little bits of land that are not under forest cover are guaranteed to be tea estates. As far as tea estates themselves are concerned, I do not think I’ll ever tire of seeing them – I have seen plenty in Wayanad over the 2 years I spent studying in Kozhikode. There must be something innately rejuvenating about the sight of green, manicured tea estates that keeps me enchanted every time I see them. After spending a few tranquil moments surrounded by tea estates and nothing else and immersing ourselves in the chirps of birds and the clicks of camera shutters, we decided to head back to Ooty. There is the beautiful Ketti Valley that I wanted to check out on the way back, but evening was fast approaching and we decided to chuck it in favour of Dodabetta. A bad decision – Dodabetta is the tallest and the most disappointing peak in the Nilgiris and I was so disinterested in the views that I just wanted to get back to the hotel and relax after what was a very tiring day. The TTDC hotel situated near Commercial Street was the one we’d booked online. It has budget rooms that can accommodate 4 and cost 1800 in the off season, including breakfast. 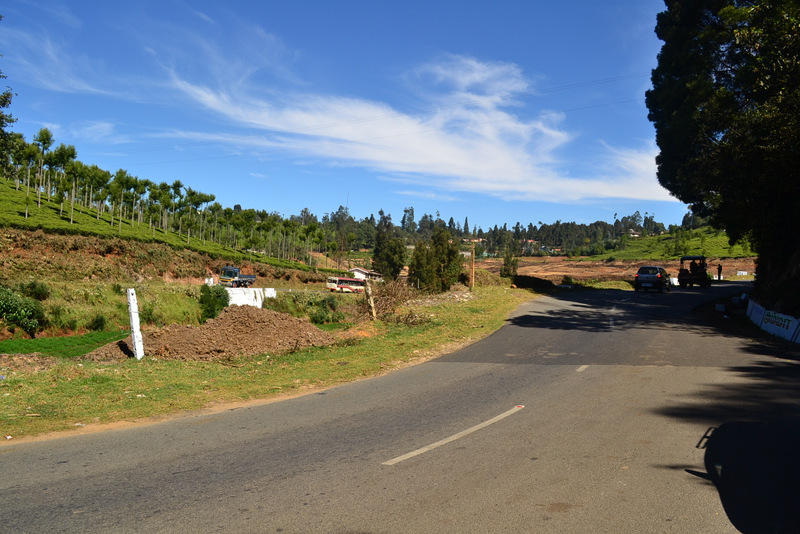 After bidding adieu to the TTDC hotel, we were on our way to Avalanche and Emerald, some 18-20 km to the west of Ooty, places that enjoy a reputation, very well deserved too, of being untouched by the maddening crowds that flock to Ooty – Coonoor. Blogging about their beauty is a bit of a paradox though – if you decide to visit them after reading this, you know what not to write in your blog. Have you ever imagined a little slice of heaven, all to yourself ? Picture the serene blue waters of the lake above, surrounded by a tea estate on one side, dense forests on the other 3 side; all nestled in the midst of hills. The view from the other bank. You can see my friends as tiny specks where the bank tapers to meet the lake. Behind me were thick forests which admittedly, were just a tad bit scary – but this view was totally worth it. After spending around 2-3 hours at Avalanche, we made our way to Emerald Lake. Emerald dam itself was closed to visitors but Emerald lake is every bit as beautiful as Avalanche is except for the fact that it is a little more crowded – with locals, a few tourists and grazing cows dotting the banks. Nonetheless, both of these lakes are worth every penny and if you have the inclination, you could also check out good stays like the Destiny Farmstay or the Red hills resort to spend some time in close proximity to these lakes. On the way to Pykara..
Pykara, for those who are ignorant of the phenomenon called Mithun Chakraborty has a waterfall which features prominently in a lot of his movies. With Pykara lake getting closed around 0530 pm, we had nothing much to do, except hit the road back to Bangalore. There was a scary moment when our cab started emitting a strange noise in the middle of the Bandipur tiger reserve with 13 km still remaining to exit the tiger reserve and only 20 minutes to cover that distance before the gate would be closed for the night. Some nervous silence pervaded the car for a couple of minutes but we made it through safely and were back in Bangalore by 3 am. Till the next trip report then…adios ! Lovely pictures and excellent description. This post filled me with immense eagerness and enthusiasm to explore Coonoor. Thank you for sharing it. 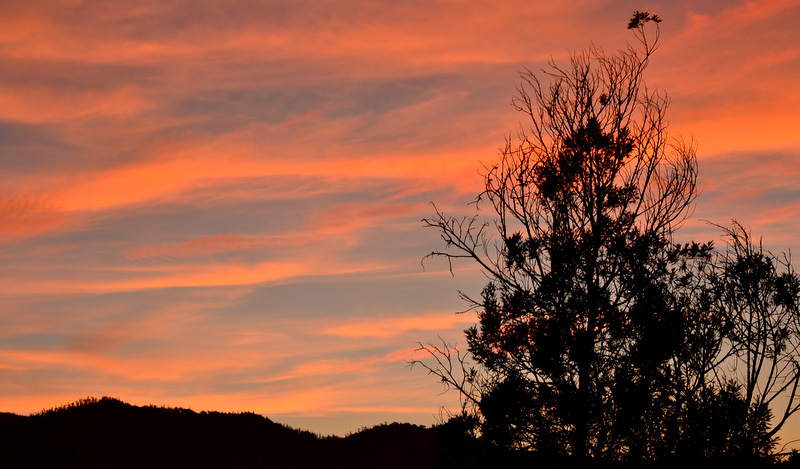 I am eager to know more about places to visit in Coonoor. I would even plan a trip soon. Nice place to visit. If you are interested for trekking at OOTY you could consider OOTY Hidden Valley Jungle Camp (www.ootyhiddenvalley.in). You connect at +91 99940 67000 for more information. Was recently in Ooty with family in June. Wanted to share a tip, in case you are travelling from Coimbatore by road and do not have your own vehicle try http://taxi1way.in which will give you an economical drop to Ooty or from OOty to Coimbatore. YOu can do the local part on your own or they also book the entire trip (is costlier). We tried it and it turned out to be cheaper than all the quotes we got. Another thing in local shopping is hand made chocolates and local spices which are a must buy.